I love to read. I love to read books about reading books. Some of my favorite titles include “How to Read a Book”,”Lit! : A Christian Guide to Reading Books” and “25 Books Every Christian Should Read”. This odd bent is spilling over into my writing life. On my “Books to Read” list (you have one, don’t you?) 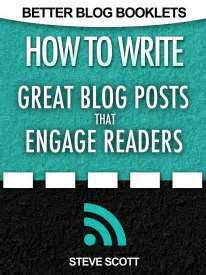 is “How to Write a Sentence”, “Writers on Writing” and “How to Write Great Blog Posts That Engage Readers”. Just kidding on that last one. Although you’re probably thinking it wouldn’t be a bad idea for me to download that book. Now. If I have aspirations of being a real writer someday (whatever that means….I’m really writing this), I need all the help I can get. Learning more about the craft is fascinating — plus, it keeps me from actually having to do it. When I was eight years old I was horse crazy. I wanted a horse in the worst way. I read books on horses, I subscribed to a horse magazine and I took the horseless horse project in 4-H. I had horse pictures all over my bedroom and a horse mobile hanging from my light. I studied the different breeds of horses and knew all about bridles and saddles. I dreamed of galloping across the fields on my trusty steed. Then I got a horse. As it turned out, I liked learning about horses more than actually owning one. I don’t want to go down that path again. So, I’m discovering that some days, when I don’t think I have anything to say, I need to pick up the pencil and see what comes anyway. I don’t need a fully formed idea before I get started. I just need to get started and the ideas will develop before my eyes. The process is scary and exciting — a little faith helps. Sometimes thoughts appear on the page that I didn’t even know I was thinking. Huh. You should try it. This entry was posted in Word Work and tagged horses, reading, writing. Bookmark the permalink. Hmmmm. This must work better/easier for you than for me. Today I picked the pencil to see what wisdom would flow off the end of it onto the blank paper. All I got was a list of things I am worried about. Perhaps the sea of chaos has not yet parted for me….. perhaps this list is my sea of chaos! Haha! Perhaps this comment is the flowing wisdom! Identity crisis — robmast is me, Robin Masters. I figured, but thanks for the clarification. This would make me dinover…. Like this one, Dinah! The last paragraph makes me think of taking steps toward something in life that we aren’t quite sure about…trusting that there is a path that goes somewhere. Maybe we sometimes up end places that we didn’t even know existed… I have trouble turning over the navigation duties, though! Oh, me too! It’s almost comical, though, to think that I’m afraid to trust the God of the universe who keeps the whole thing up and running. Like my life is too complicated for Him! Your comment reminds me of a quote: “There is no path. We make a path by walking.” Perhaps the riskiest thing of all is standing still….. Always appreciate your thoughts! Always enjoy reading what you write because they are God inspired and my heart is always stirred.You are so gifted and blessed with being a writer.